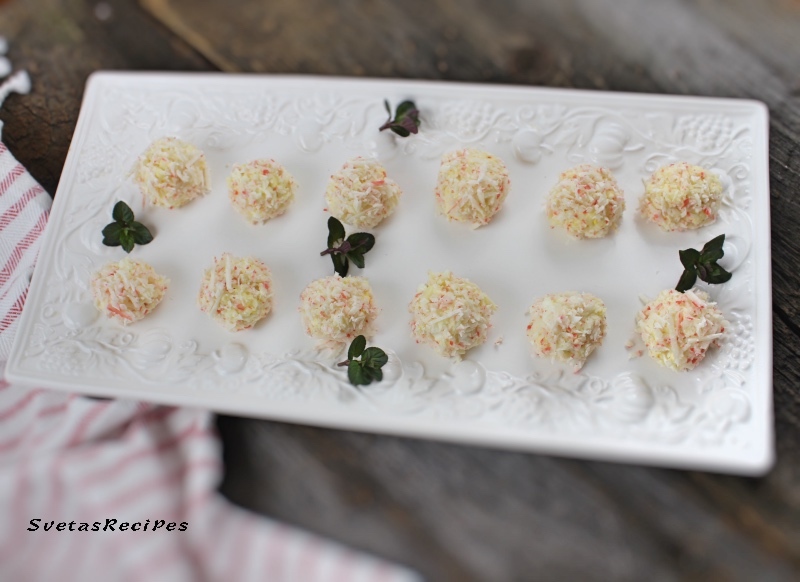 This recipe includes shredded crab sticks, mozzarella cheese and much more. It was also very tasty. I mostly enjoyed the soft ness of it. 1.) Shred your eggs and crab sticks. 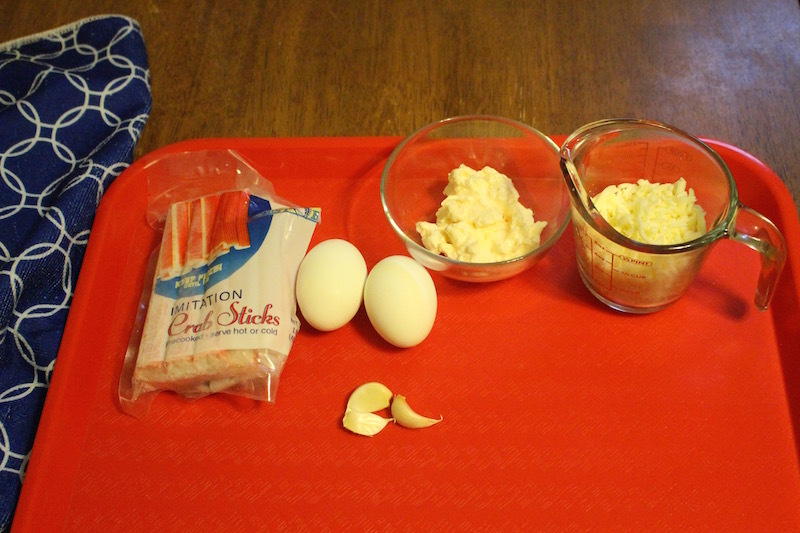 Add your 1/2 of crab sticks, eggs, mayonnaise, mozzarella and crushed garlic. Mix it together well. 2.) 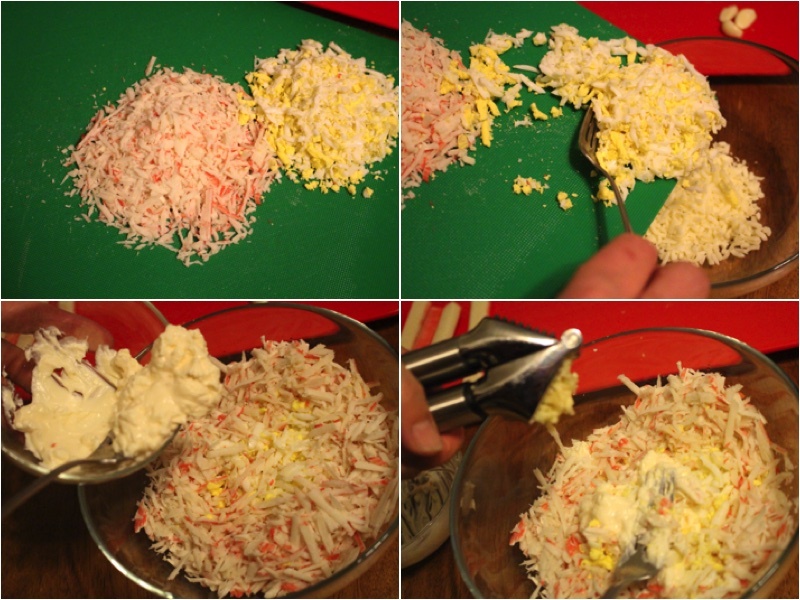 Using 2 teaspoons make a sphere and coat it in your other half of shredded crab sticks. Place on a serving dish and enjoy! Shred your eggs and crab sticks. Add your ½ of crab sticks, eggs, mayonnaise, mozzarella and crushed garlic. Mix it together well. 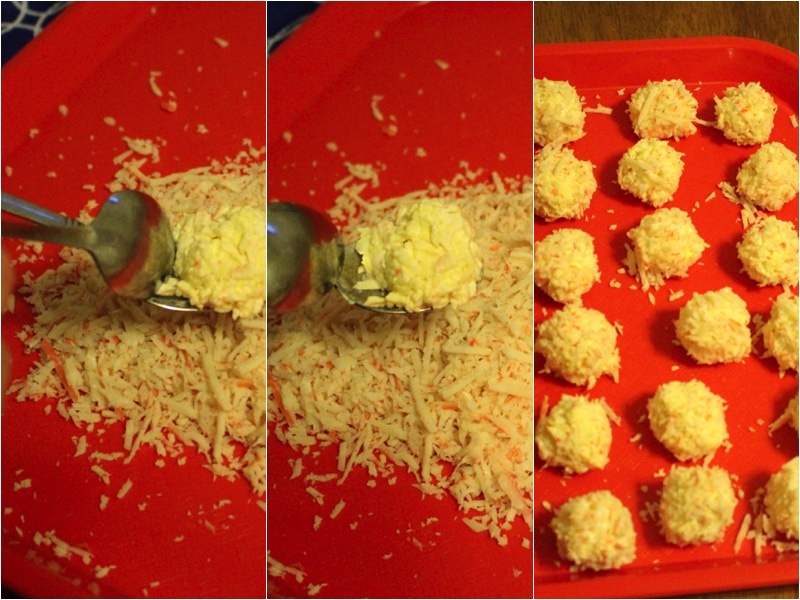 Using 2 teaspons make a sphere and coat it in your other half of shredded crab sticks. Place on a serving dish and enjoy!